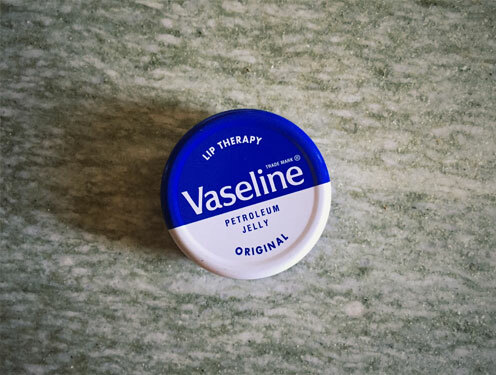 Last November my friend Rob was cleaning his teeth before heading to bed for the night. The next thing he knew, he was lying on the bathroom floor, spattered in blood with a broken shoulder. Rob had had a seizure, blacked out and smashed his head and shoulder on the corner of the bath as he fell. There had been no warning signs. 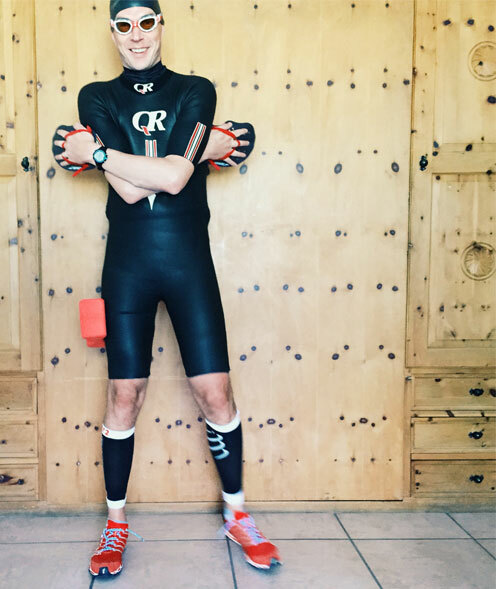 Rob was very fit, having finished the 120km TDS ultra run in the French Alps only a few weeks before and had no medical history of similar issues. After emergency treatment, an operation to insert a metal plate in his shoulder, and countless appointments with consultants he was diagnosed with epilepsy and told to rest. For six months. 'Swimrun' is relatively unknown outside of Sweden, the sport's home country. 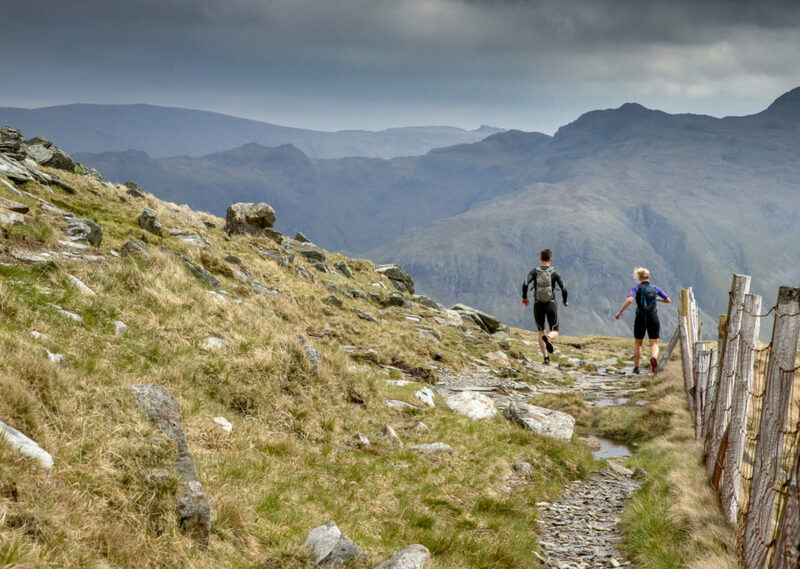 Its a rich mix of epic landscapes, remote trail runs and whopping open water swims. The sport's best known event, the ÖTILLÖ, came out of a bar room challenge to race across a series of islands and stretches of open water in the Stockholm archipelago. 10 years on and the ÖTILLÖ is now recognised as the World Championship of swimrunning and sells out in under a day. 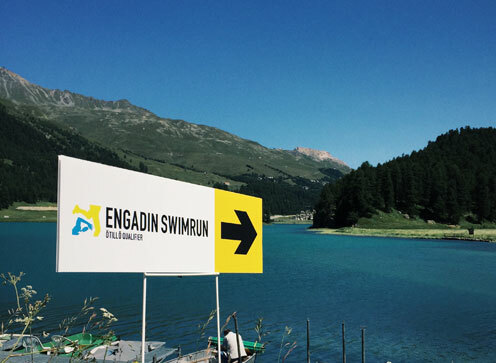 The Engadin swimrun is the first event to be held outside of Sweden, in the Engadin Valley in southern Switzerland, best known for the upmarket ski resort of St Moritz. 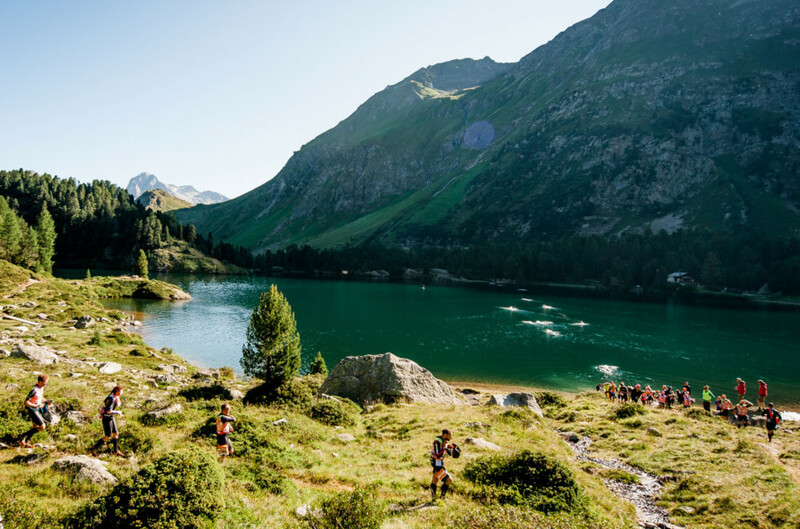 Racers start at the top of the valley and follow a marked course along 48km of running on steep mountain trails and 6km of open water swimming in high alpine lakes. You carry everything you need for the journey. This means running in a wetsuit and swimming in your shoes. 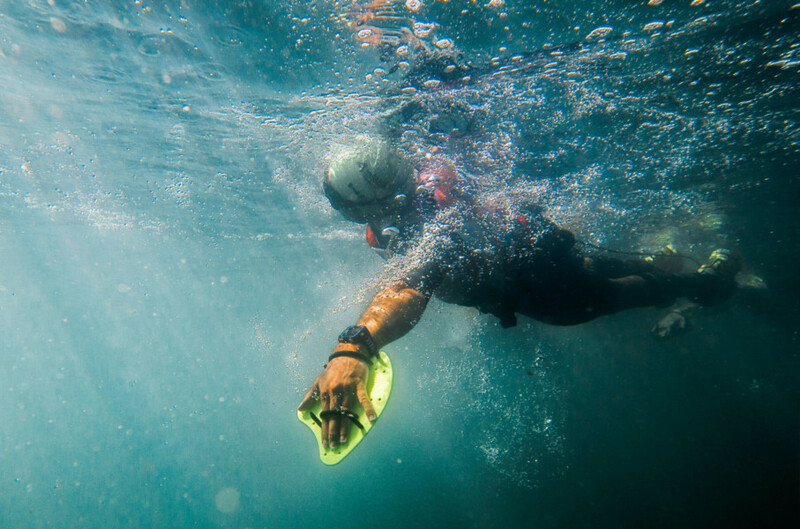 There are very few rules - you can use hand paddles, fins and pull buoys but these things that may give you an advantage in the swim will weigh you down on the run and slow you through the transitions. 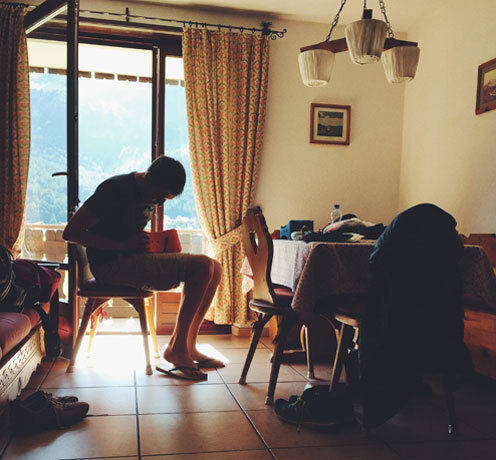 We plumped for a simple approach, taking as little as possible with us. No hand paddles and only a few energy gels and a small pouch of water in a bumbag which we wore under our wetsuits. There were regular energy and water feed stations where we stopped to refill and refuel with water, bananas, gels and german sausage. 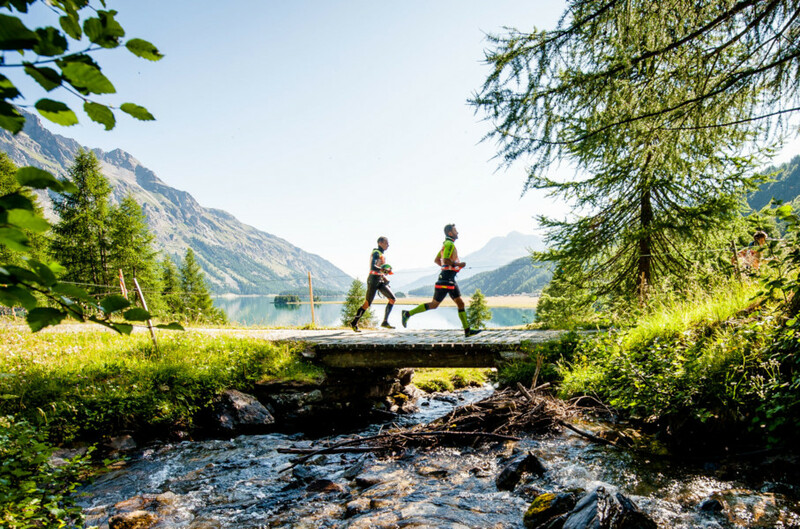 In last year's Engadin swimrun, almost half the field didn't finish. For safety reasons, there are two cut-off points on the course and if you don't make the time limits, your race is over. Unless you're in the top end of the field, you need to be aware of the cut-offs. We weren't in the top end of the field. After the first time check, we found ourselves 10 minutes behind the cut off time. The prospect of not finishing the race added an element of mental stress. We found ourselves constantly checking our progress against the guide times provided by the race organisers. It's an aspect of racing that we weren't used to. No option here of going at your own steady pace. For the slower end of the field, your pace is dictated by the cut off times. After a few hours - and in the final section before the first cut off - we had worked our way back inside the time limit. After that morale boost, we were able to hang on and crossed the finish line in 9 hours 24 minutes. Swimrun is a sport that feels like its beginning to really take off. Its still early days, as all the experimenting with different types of kit testifies, but awareness is building. Racers from over 20 countries travelled to Switzerland, with quite a few from the UK. This summer also see's the first ever swimrun in the UK, Breca Buttermere, on next month (and selling out fast). 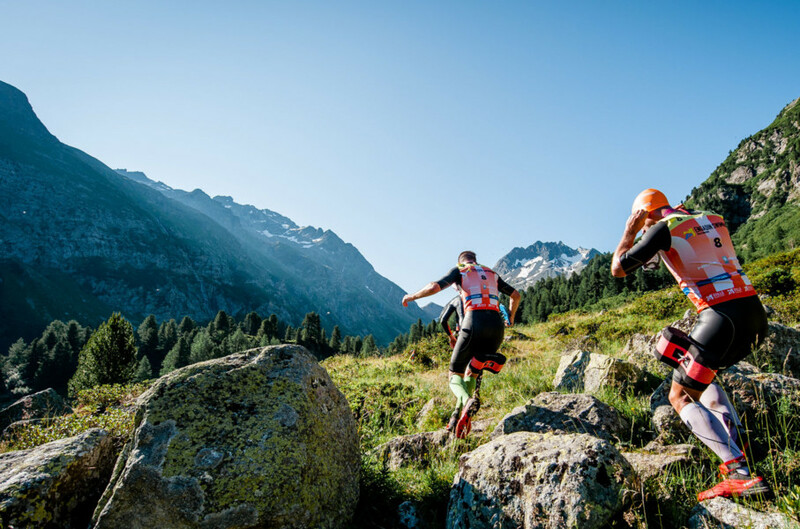 In Europe, the organisers of the ÖTILLÖ are adding a sprint distance event in Engadin along with 3 new European races in 2016. 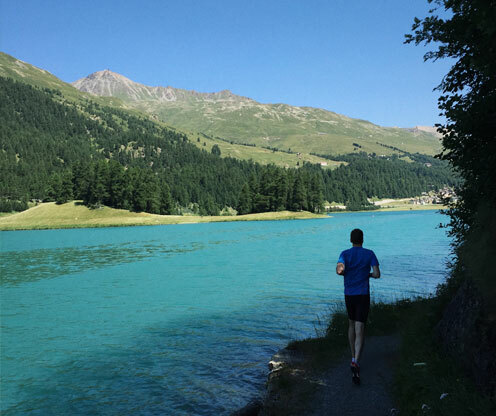 I'd recommend swimrun to anyone who loves outdoor sport. 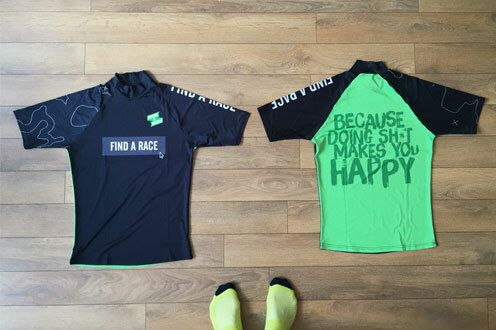 The epic landscape and race distances may look daunting, but if we can do it, anyone can. After all, Rob can't even clean his teeth without falling over. Around 1 in 100 people suffer from epilepsy. Anyone can develop it, at any age, often suffering seizures without any warning. Find out more from the Epilepsy Society.